iTunes backups are Apple's way of letting you back up your iOS device and avoid losing your data in case the device is damaged or stolen. It is cool that such backups can occur automatically when you connect your device to a computer running iTunes. With the iTunes backup in place, which tools can you use to extract the iTunes backup file? 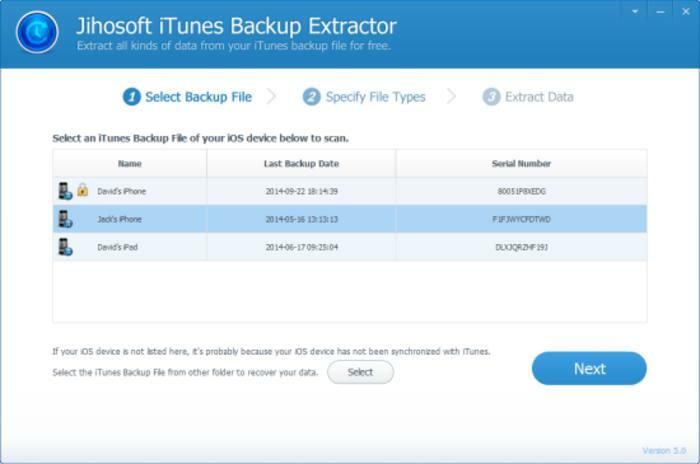 In the following sections, we review 5 of the best iTunes Backup Extractors to pick from. Just read through and take your pick! iMyFone D-Port iTunes Backup Extractor is one of the fastest growing iTunes Backup extractor in the market thanks to the range of features it delivers to iOS users. 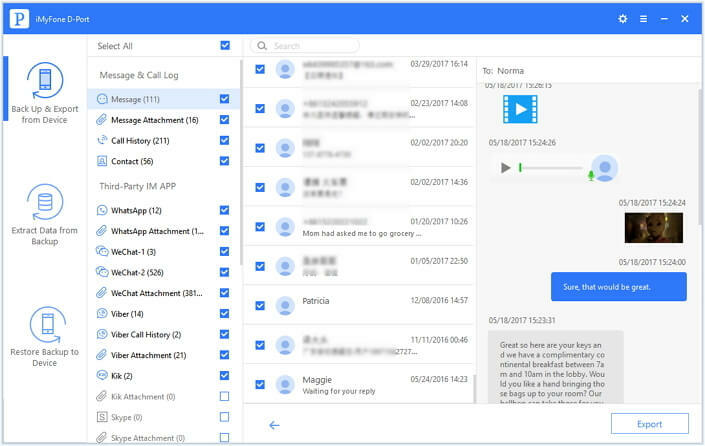 The tool is fast toppling giants in iOS data exporting and it looks like it is also growing in stature in iOS backup creation and extraction as well. In iOS backup, it has been tailored to exude robust extraction capabilities only matched by very few competitors in the market. 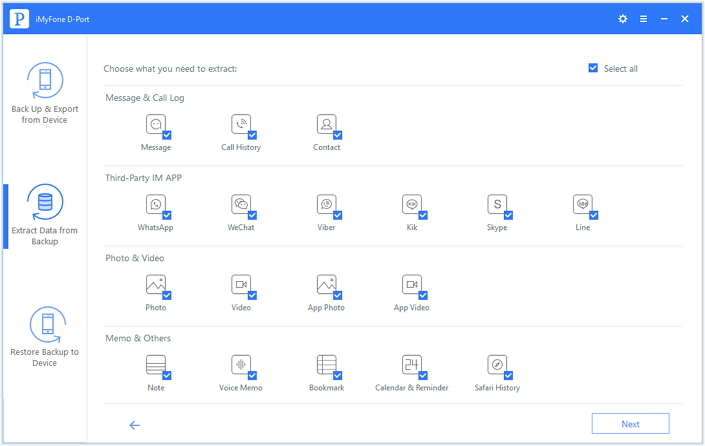 It supports exporting of virtually 18 kinds of iOS contents such as photos, videos, contacts, text messages, WhatsApp/Kik/WeChat, notes and more. It can export them in formats e.g CSV, HTML etc, which are very easy to manage. It supports the latest iOS devices such as iPhone 8, iPhone X and the new iOS 11. 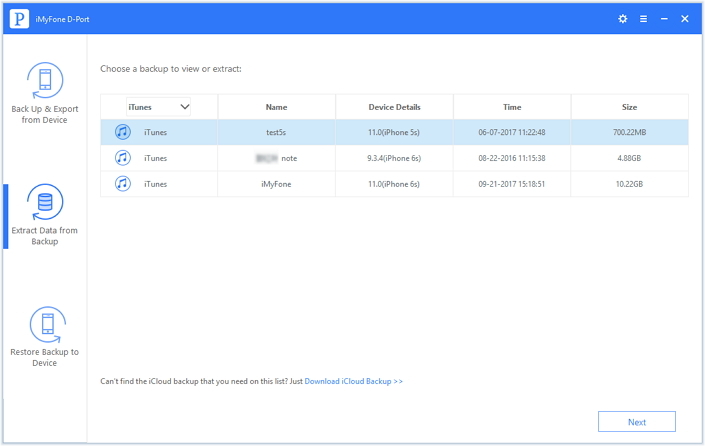 It supports to view iPhone data on computer and extract data from iCloud backup file as well. It is relatively fast courtesy of well-crafted scanning algorithms. It has an easy-to-use interface that makes it easy for the novice to extract iTunes backups. The vendor also has a good customer service support. It offers limited functions for trial version. You may need to download and install iMyFone D-Port on your Windows or Mac computer before start. Launch the program and click on "Extract Data from Backup" tab. Choose an iTunes backup from the backup lists and click Next. Select the file types to scan on this screen, click Next and this program will automatically scan your iTunes backup file. 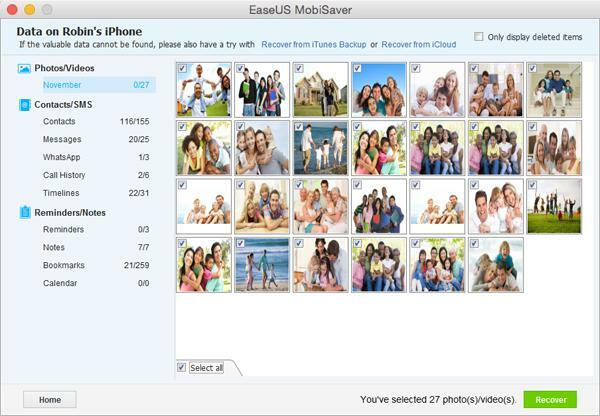 The scanned and found data in your iTunes backup file will now be displayed on the screen. Click on the file type tab to preview them. When you are satisfied, you can now mark on what you want to extract and click on "Extract" button. You will be able to save the files to any location on your computer. 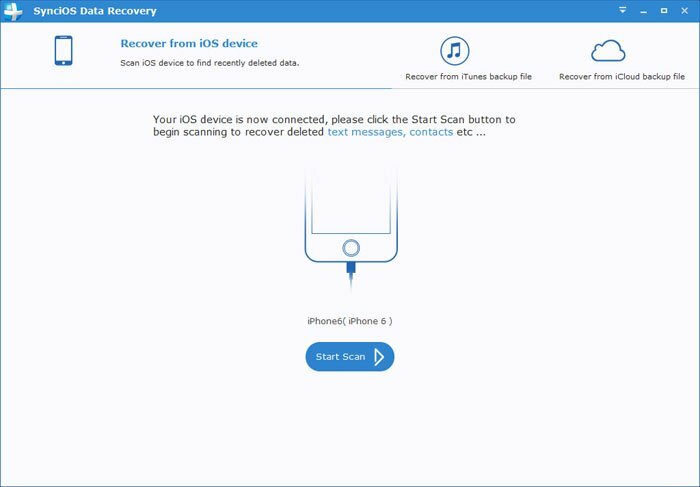 This tool is more or less a multifunctional iPhone backup extractor that has been known to deliver top notch services to millions of clients for years. 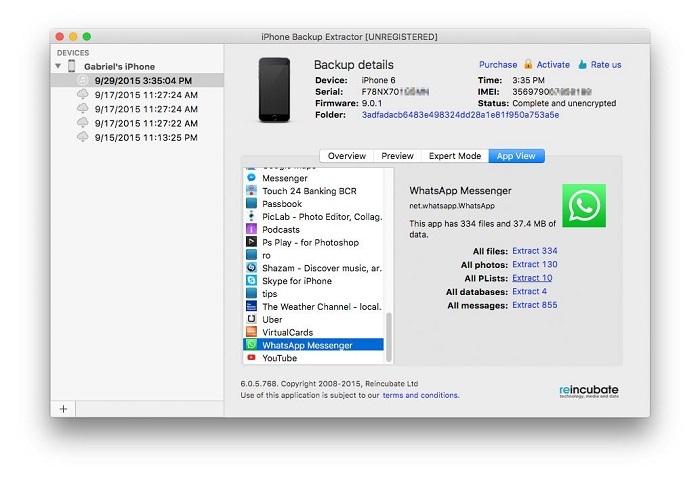 It boasts quite a CV in not only backup extraction functionalities but also iTunes and iCloud backup creation. It supports iTunes backup recovery even in the case the files are corrupt or encrypted. Supports both mac and Windows. It supports recovery of lots of file types and a range options e. g HTML, CSV for message extraction. You can also use it to recover passcode restrictions from you iTunes backup. It allows you to retrieve application data such as scores for your favourite games. It can also be used to extract other files like Safari bookmarks, calendar data, notes, location data etc. This is yet another powerful iTunes backup extractor that has been a mainstay in the market through iOS evolution. The tools boost a cool GUI and wizard-based recovery that make it easy for users to sail through the process. 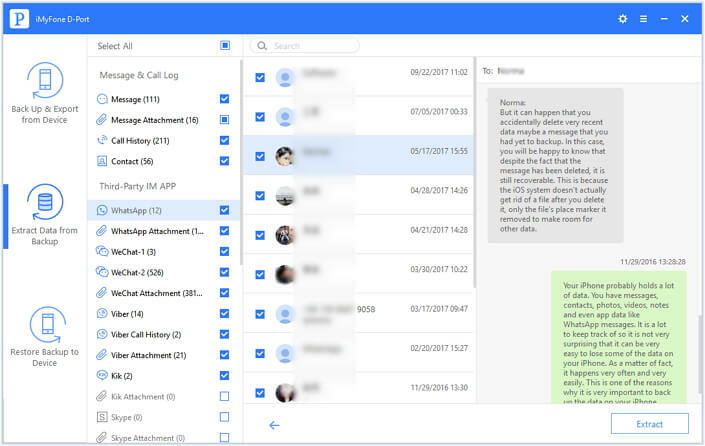 It supports extraction 12+ file types ranging from messages, app data, notes, calendar entries, safari bookmarks among others. This is a versatile tool with plenty of features packaged into one. It has built a reputation in iOS data recovery, iTunes and iCloud backups but it can also come in handy when extracting those backups. It has been designed to help you recover many file types from iTunes backup locations without much of a fuss. The beauty is that it supports both OSX and windows thus you do not have to worry about OS compatibility issues. This has got to be arguably the best free iTunes backup extractor in the market today. It matches up well with the other four giants in terms of its capabilities in data recovery, backup creation and extraction for iOS devices. It’s all matter of your choices or rather taste and preferences but it is easy to see that choosing from such great options can be very tricky for anyone. How about you pick a vendor with a reputable customer support in case you have a problem with the tool?